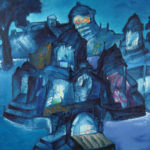 Art & Soul Gallery, Mumbai is pleased to present the retrospective, Manu Parekh, 60 Years of Selected Works with over 150 works at the National Gallery of Modern Art, Mumbai (NGMA) along with an accompanying book of the same title in collaboration with Ministry of Culture, Government of India. The preview of the exhibition is on 12 March 2018 at 6 pm and the exhibition will run until 15 April 2018. Eminent architect Shri Balkrishna V. Doshi will inaugurate the exhibition and painter Shri Sudhir Patwardhan will release the book – Manu Parekh – 60 Years of Selected Works. The book examines the complete breadth of Parekh’s career, from the 1960s to the present time. Over 250 of his works are included, representing every important aspect of his oeuvre. 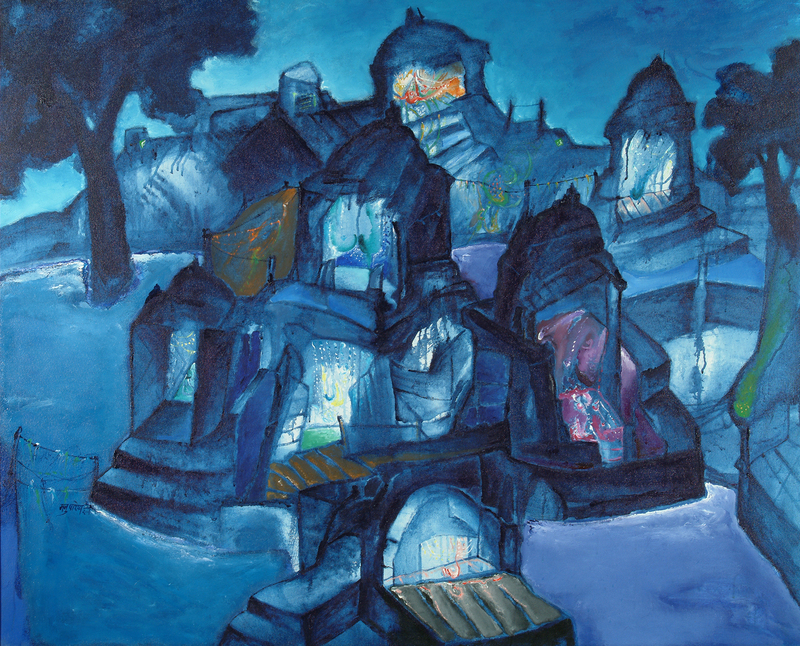 We see his exploration of ritual in the late 1970s, the legendary paintings inspired by the Bhagalpur blindings and his enduring fascination with the holy city of Banaras, which he has explored in great depth over many decades. The book also includes a late-career highlight, a monumental work of ‘heads’, completed in 2017, that is based on Leonardo da Vinci’s The Last Supper. Through its exploration of the rich body of Parekh’s work, this book provides unique insights into one of India’s most important painters. 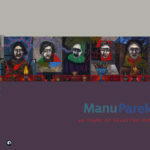 Manu Parekh is one of India’s most inventive painters. His early work explored the relationship between man and nature, which according to him was an energetic link that had to be celebrated. Since then, contradictions have formed the basis of his artistic practice, no matter the subject or genre of his works. Polemics have always intrigued Manu Parekh – the energy of the organic form and the inherent sexuality within these forms are intangible elements in his works. His paintings provoke viewers to take notice of the world around them through the emotion, pain and anguish expressed in the subjects of his paintings. His colours and forms exude a volatile energy that can barely be contained within the confines of the canvas, and become an extension of his personality.